The trends, demographics and outcomes data of lung transplantations (LTs) performed in the United States in 2017 are outlined in the latest LT annual data report published in the February 2019 issue of the American Journal of Transplantation. Compiled by a panel of experts convened by the Organ Procurement and Transplantation Network and the Scientific Registry of Transplant Recipients (SRTR), the publication outlines relevant LT statistics for 2017. According to the latest analyses, the number of LTs has increased continually since 2012, reaching a record high of 2478 in 2017 — an increase of 133 transplants from 2016. More than two-thirds of transplants were bilateral. However, despite an increase of 126 donors in 2017, the expert panel notes that the need for organs is still greater than the pool of available donors. Consequently, 326 patients died or became too ill to undergo transplant, and another 1,360 remained on the waiting list at the end of 2017. 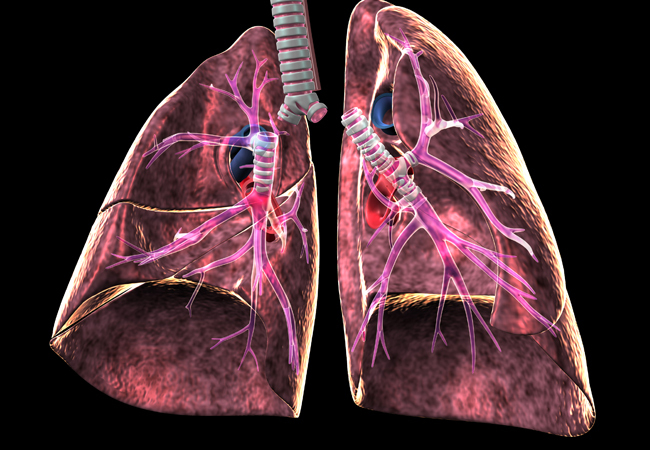 Pulmonary fibrosis remains the leading indication for LT, comprising nearly two-thirds of transplants performed. While individuals between the ages of 50-64 represent the largest group of recipients, there has been a steady increase in recipients over the age of 65, who represent the second largest cohort. Sixty-five medical centers across the U.S. performed LT in 2017, with a median of 26 transplants performed per program. Three transplant programs, including Cleveland Clinic’s, performed more than 100 transplants in 2017, accounting for 15.1% of all transplants in the U.S. According to the 2017 report, the short-term (one-year) survival of transplant recipients continued to improve, while long-term (10-year) survival had clearly declined. The increasingly older age and higher lung allocation scores (LAS) of U.S. LT recipients likely contribute to this trend. Dr. Valapour explains that ECMO is used in patients waiting for a donor lung while EVLP is used on the donor side to reevaluate and optimize the organ prior to transplantation. The use of ECMO increased from 1% in 2012 to 2.2% across the US in 2017. Cleveland Clinic uses both technologies to maximize the likelihood of a positive transplant outcome. Dr. Valapour says that important policy changes occurred in November of 2017 that aimed to broaden the geographic sharing of donor lungs. The initial catchment area of donor organ allocation was changed from the donation service area to a geographic area whose perimeter is defined by a 250 nautical mile radius emanating from the donor hospital. This means that the sickest patients within the 250-mile radius will have priority access in organ allocation. An early analysis of transplant and mortality rates found that neither transplant nor mortality rates meaningfully differed by recipient distance from their transplant center for those patients who lived within a 250-mile radius of the center. “However, transplant recipients who lived ≥ 250 miles from their transplant center experienced an overall lower post-transplant survival compared with those who lived closer than 250 miles from their transplant center. Work has to be done to better understand why that is the case.” says Dr. Valapour.